Below you will find links to all of the CNA classes in Louisiana listed by each city. On the list you will find the current certified nursing assistant vocational courses, public colleges, and private health facilities that are open for enrollment at this time. Click on a city to locate the contact details for training facilities in that particular city including the phone number, address, city map, and school details. Before enrolling in a school always make sure their program is approved by the state toward meeting certification requirements and provides the require amount of hours of instruction and class curriculum. If you would like to work as a nursing assistant in Louisiana, you should take advantage of taking CNA classes in Louisiana. They are one of the surest ways to find work as a nursing aide as well and it also helps provide a background to what your future job would be like. There are several requirements of course before one can take a class and you should be aware of what they are and what you should do after finishing the nursing assistant training course. According to the Bureau of Labor Statistics, Louisiana employs about 24, 520 certified nursing assistants in their state. They also have a considerable increase in demand every year which makes it one of the most desirable types of employment in the state. The general trend of this occupation is in increasing demands due to the fewer and fewer facilities which are available in hospitals for patient care as well as the increasing longevity of its elderly citizens that need the aide of health personnel for their day to day living. The average salary for nursing assistants in Louisiana is $20,630 per annum and the average hourly rate is about $9.42. This salary range can either be lower or higher depending on the location, type of employer and length of experience of the worker. The annual pay could be from $14,872, $15,000 or $15,080 depending on the said circumstances. The training is very affordable which usually costs for only about $450 per course. This would include textbooks and other study materials which are needed for the course. The required training hours are 75 which are composed of both classroom sessions as well as a practical training in a licensed nursing facility in the state. The training will equip you with the knowledge and skills that are necessary for nursing aide work. They include basic patient care such as grooming, changing of bedding, feeding, and administering emergency procedures to the patient. You will also learn how to understand medical terminologies and document a patient’s condition and progress and communicate that to other health personnel. You would also be taught how to handle medical equipments and how to communicate with your patient and his or her family. There are various facilities which offer CNA training programs which have been approved by the state. They are the M. McGregor Jones Health Center, the Lutheran Home of New Orleans, Ochsner Foundation Hospital, Cameron College Nurse Aide Training, and the Delgado Community College Nursing Assistant Course. These colleges and nursing facilities are located throughout the state and you can choose the one which is located closest to you. The schools usually require a physical exam in order to determine if you will be able to carry out your functions as a nursing assistant once employed. There is also a required criminal background check which can disqualify you if you have any drug, theft, or sexual abuse cases. You are also required to take the state competency examinations within two years of finishing the training program. 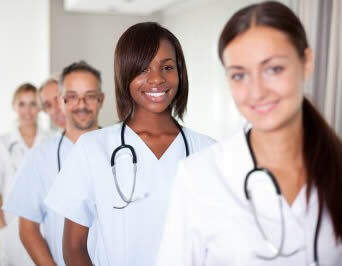 Click this link for all of the current nursing assistant certification requirements in Louisiana. Do you know of a state approved CNA classes in Louisiana or health care center training, or would you like to correct any incorrect class details? If so, please contact us here so we can fix or update this website to provide the most up to date information.